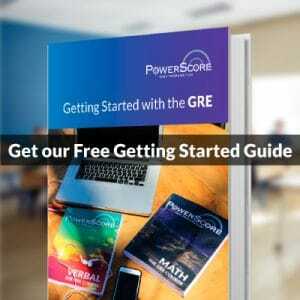 During the ongoing expansion of the GRE into law school admissions, law schools frequently cite the predictive validity of GRE scores for law school performance. However, the statistics that back up these claims have not yet been publicly available. PowerScore has been fortunate to receive an advance copy of the ETS study, The Validity of GRE® Scores for Predicting Academic Performance at U.S. Law Schools, and while we are not authorized to disseminate this study in its entirety, we would like to share and discuss some of its key findings. The study adhered both to statistical technical standards and the ABA Section of Legal Education Standard 503, which stipulates that accredited schools require “a valid and reliable admission test to assist the school and the applicant in assessing the applicant’s capability of satisfactorily completing the school’s program of legal education.” (Source) In other words, law schools must require a valid standardized test for admissions. Before the GRE, the LSAT had been the only test accepted for law school admissions. The study evaluates data from 1,587 students from 21 law schools. ETS selected these schools and students from geographic regions spanning the entire United States. ETS separated these schools into three tiers based on median LSAT scores of admitted students. The authors of the study validated results within each of the 21 schools and then averaged the results together. They performed rigorous statistical analyses based on GRE scores, separate, together, and in tandem with undergraduate GPA. For comparison, the study provides equivalent data using LSAT scores. In sum, GRE scores, weighted equally, and LSAT scores were observed to be equally valid for predicting first year law student GPA. Thus, in the opinion of the authors of the ETS study, the GRE General Test is both commensurable with the LSAT for law school admissions and a valid and reliable standard for admissions decisions. For further discussion, please read below. Why might the GRE be an attractive alternative to the LSAT for law school admissions? In the ETS study cited above, the authors allude to a couple key advantages the GRE offers over the LSAT. The GRE tests separately Verbal Reasoning, Quantitative Reasoning, and Analytical Writing and presents these scores separately. The LSAT does not score separately its component Analytical Reasoning, Logical Reasoning, and Reading Comprehension sections. When considered independently of one another, these GRE scores combined with undergraduate GPA had slightly better (though statistically insignificant) predictive validity than the LSAT for predicting 1L GPA. These rationales combined with the need to offset a declining applicant pool provide a powerful impetus for law schools to open their doors to a more diverse student base. If anything, the law school admissions process remains conservative compared to grad and business school admissions. Law schools are following the lead of business schools to accept the GRE as an alternative admissions exam. Business school adoption of the GRE in addition to the GMAT provided a live, transparent case study of this changing admission process. Judging by the rapid and total penetration of the GRE in business school admissions, one can conclude that adoption of the GRE has been a success. How Will Law Schools Use GRE Scores? One might expect GRE Verbal scores to have better predictive validity than GRE Quant scores for law school performance. However, based on the results of the ETS study, this is not the case. GRE Quant and Verbal separately had nearly identical predictive validity. The GRE Analytical Writing Measure had less predictive value. According to the ABA Legal Education Standard cited above, law schools have considerable leeway in how they use standardized test scores. Certain norms have become standard for the LSAT, such as considering the highest score, that will need to be established for the GRE. In practice, the importance of individual GRE score components will likely vary from school to school, especially during this period of expansion. Likewise, the LSAC Credential Assembly Service™ (formerly LSDAS) will need to adapt to include the GRE as an alternative to the LSAT. Interested exclusively in law school: take a free practice LSAT, assess your performance, and plan to prepare for the LSAT. Interested in law school but also considering other graduate programs or dual degree programs: take the free practice LSAT but also take an official ETS computer based GRE; evaluate performance on both tests. Contact law programs and other graduate programs in which you are interested to determine their existing admissions test policies and any planned changes. You should weigh your relative desire to pursue law against your interest in other advanced studies as well as your ease with both tests to help make a final decision about which standardized test to take. If at any point you find yourself dissatisfied with your results with one exam, you now have the option to consider the other. Interested primarily in graduate studies other than law: consider the GRE first. Take an official ETS computer based GRE; evaluate your performance; make a preparation plan. As law school adoption of the GRE continues, your GRE score may open additional doors for you. Should you wish to consider law, you could apply for law programs that intersect with your other academic and professional interests. 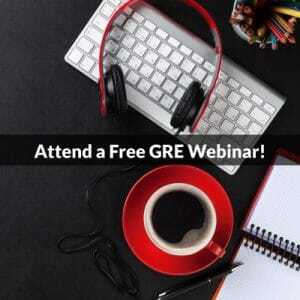 Subscribe to this blog for weekly updates and please register for our free GRE Forum to ask questions and receive expert answers to all your GRE, grad school, and GRE for law school admissions questions.